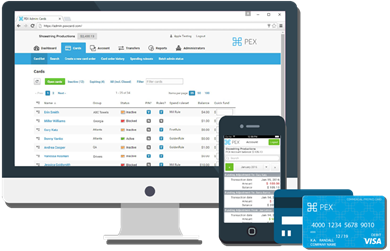 Does your business need a card program to make payouts in bulk? A card with a full system to manage employee expenses? ...To compensate or reimburse freelancers? Would you like a co-branded card? We have the solution for your company. Name Email Address Phone Company Field of Work Select one...Trade AssociationNon-ProfitHealth CareFood ServiceConstructionTechnologyHousekeepingPayrollStaffing AgencyOther How do you think we could partner?